Best Cordless Drill for Home Use: Here’s the Drill ! ​Any household should have a decent set of tools in case something needs a quick fix. Good tools will last a lifetime, and getting dirty once in a while is a real money saver, so it makes sense to invest in a proper set of quality tools. Power drills, for instance, are versatile, durable and turn any task into a breeze. With that said, the best cordless drill for home use must have ample power, be somewhat lightweight, and needs enough juice to last a couple of hours. Power drills are notoriously useful for the handyman or woman. They can be used for setting up shelves, tightening or loosening screws, installing furniture or accomplishing general repairs. However, each drill that is sold in the market can suit different individuals. As such, we will look into three best cordless drill for home use that you might want to consider buying. These picks fall into three categories: the homeowner, the DIY enthusiast, and the workshop artist. They’re all great for their categories, but one must determine which one is better suited for his or her needs. 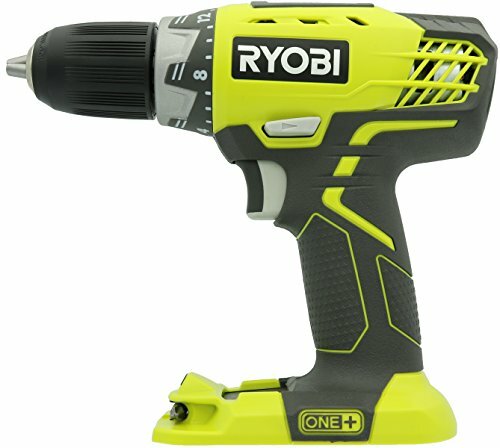 Ryobi is known as one of the top manufacturers in the market. Notoriously known by value shoppers, Ryobi manufactures mid-level products, great for the entry-level workshop whizz or the “always prepared” homeowner. The company's P208 Drill or Driver has a nice feature set and comes at a budget-friendly price range. It’s the perfect product for a new toolkit. The Ryobi P208 Drill or Driver is a product that has a size dimension of 12 x 3 x 9 inches and a listed weight of three pounds. This comes with a handle that has a pistol-grip design and made of a rubber material. Likewise, it is also equipped with a magtray wherein you can store bits and fasteners that you can use while working. In addition, its chuck system has a keyless design. Further, LED lights have also been integrated as well as a Phillips head drill bit. This product works with the help of an 18-Volt lithium-ion battery. However, it is also compatible with P100, P101, P102, P103, P104, P105, P107, and P108 NiCad batteries. As to its speed and clutch position, you can choose from two and 24 different settings, respectively. 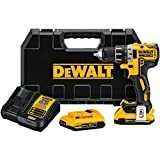 ​Among other names, DeWALT is one that pops up in the minds of enthusiasts as one of the go-to guys for high-end crafting, reliability, and functionality. DeWALT is an American-based global hardware manufacturer with almost 100 years of activity in the market. The DeWALT 20V MAX XR Drill or Driver Kit has a two-speed high-torque brushless motor. A brushless motor has enhanced friction, making it the top choice for battery-fueled power tools. That is because it decreases power consumption and eliminates voltage shifts; hence, it is 100% functional 24/7. It also has a transmission wherein the speed level can be changed into two settings. In addition, LED lights have been incorporated that can be set into three different modes, including a spotlight mode. For this product to work, it is powered by two XR lithium-ion batteries wherein each can be fully charged for one or 1.5 hours. What is better is that it has a fuel gauge that gives users 33% more battery capacity. In addition, an indicator light is also integrated. This 16.2 x 4.5 x 10.1 inches and 7.85 pounds tool comes with a charger, plastic case, and a three-year warranty deal. Also, the purchase allows the users to track inventories and updates via a smartphone for them to receive notifications regarding stock and compatible accessories within their proximity. This is a truly useful tool for people who have home workshops and are constantly looking out for new projects. As a bonus, DeWALT has a wide variety of 100% compatible accessories to go with it. 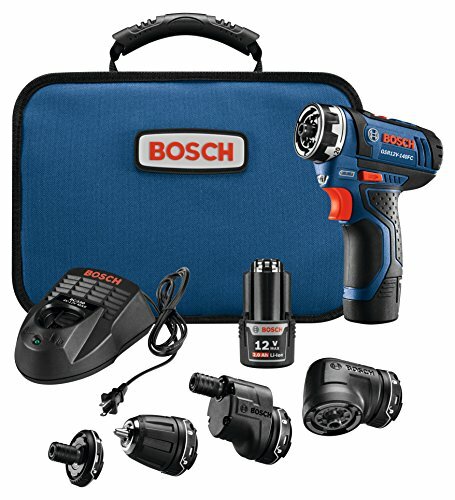 ​Bosch is really notorious for producing hardware and power tools. Closing in quickly on their 150-year anniversary, Bosch has produced all kinds of power tools. With extraordinary reputation, world-class engineers and an amazing business model and the classic German reliability, Bosch infuse their legacy into all of their products. The Bosch Flexiclick 5-in-1 Driver or Drill is a 9.5 x 15.25 x 4.75 inches tool that has a keyless chuck and locking bit holder attachments. It is also equipped with an offset angle and right angle attachment that can be rotated in 16 various positions. To add more, you no longer have to remove any of these attachments in order to rotate them. Speed-wise, this product can be set into two different levels but at a maximum of 1,300 RPM. This 5-in-1 drill is also integrated with a LED light. The package also comes with two lithium-ion ACs, five attachments, a carrying case, and a charger. ​For us, the best cordless drill for home use out of the three has to be the Bosch Flexiclick. 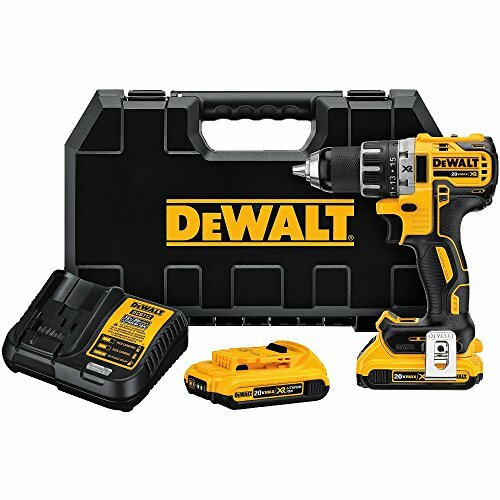 While it’s not intended as an entry-level product, any amateur or pro will agree that investing in such a versatile drill or driver kit is the way to go. With a bit of practice, any one of you can become the workshop artist they can be with this compact powerhouse in their tool belt. The most complete home improvement manual on the market, this book offers more than 2,300 photos, 800 drawings, and understandable, practical text.